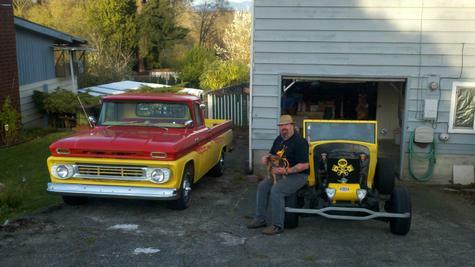 1962 C-10 Propane powered Chevy along with my 1931 Ford Jalopy with a small block Chevy. Conman & his sidekick Hogan. 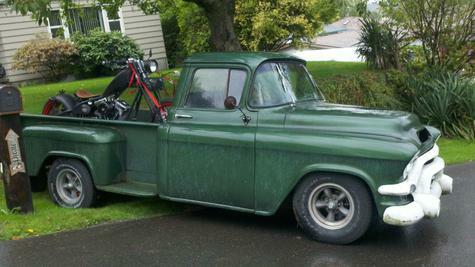 Hauling a friends Hog in the 62 Chevy. This is my daily driver. It runs on propane only has the straight 6 with split headers and dual exhaust. View behind thewheel of the 31 Ford Jalopy. Of course I was stopped. 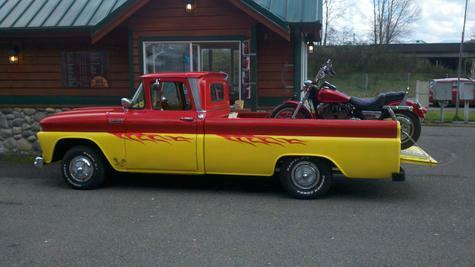 1956 GMC with my 2006 Saxon Black Crown going to the shop last year. 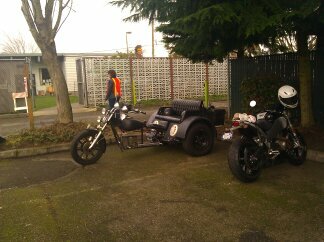 1977 Rat Trike VW 1600 Dual Port Twin Carb. A real blast to ride. 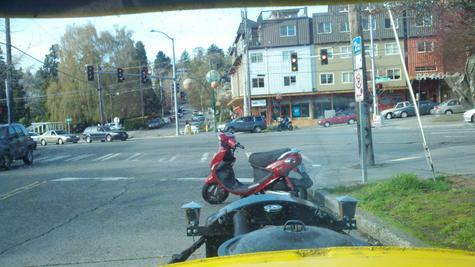 I love that most bikers don't wave like they usually do! 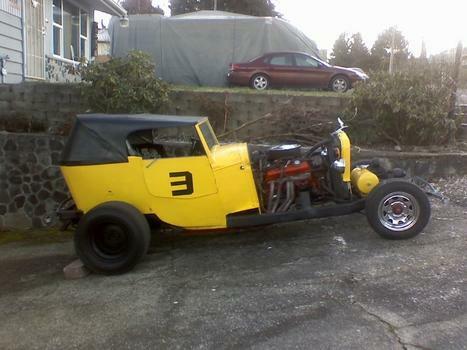 1931 Ford Model A or as I call it a Jalopy It's a blast with the top down. I could probably get rid of all my junk for something shiny. I wouldn't be as happy though! I drive this in the sun every chance I get. 2006 Saxon Black Crown 96 CI bundle of joy. 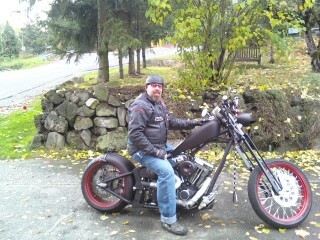 It's a Springer Softail. I am blessed to have so many rides. I'd wave to ya Brother!!!!!! It looks like you're a man who has it all. Here's to the good life...THUMBS UP !!! Iam blessed to be able to have so much junk indeed! I might need some counseling for my sickness though!